Jeanette Esther Perkins was born in October 1927 at Ballarat. She attended Alfredton State Primary School (Grade 2) and Pleasant Street Primary School (Grades 3-6) before completing her secondary schooling at Ballarat High School (BHS) in 1946. During her later years at BHS Perkins decided that she wanted to become a geologist, but was ineligible for university when she failed Leaving Certificate maths. However, Perkins was not easily dissuaded from her preferred career. Early in 1947 she attended an interview with the principal (Heseltine) at the Ballarat School of Mines SMB) and announced that she wanted to be a geologist. Heseltine was, according to Perkins, aghast: he informed her that there had never been a female geologist at SMB and they didn't want one. But Perkins persisted and finally prevailed. Only then did Heseltine reluctantly enrol her in the School's Applied Chemistry Course which offered the most geological subjects, -moreover, it was the only one he considered available to a 'mere' female. As the fee for the first term of the Applied Chemistry course at SMB cost 15 shillings Perkins was determined to succeed. By her own admission, she found the first year an uphill battle. The senior male coterie (several of whom were well-known Ballarat 'playboys') wanted to have a female student in their midst even less principal Heseltine. But she 'stuck it out' and while this group of male classmates made school life as miserable for her as they dared, other contemporaries in first year gradually got used to her. After graduating Perkins was employed as a metallurgical chemist with M.B. Johns Valves, Ballarat. In 1949 she married Alfred Watson, another past student of SMB. In accordance with one of the accepted protocols of the time, Watson was required to leave her job upon marriage. 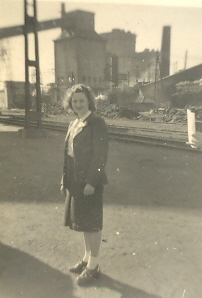 In 1951 Jeanette and Alf Watson moved to Melbourne where she commenced work as a metallurgical chemist at the Maribyrnong Ordnance Factory while studying geology part time: Alf returned to study at the University of Melbourne. Once again, Watson set a precedent by becoming the first female student to study geology part-time at the Melbourne Technical College (now RMIT). In spite of coping with the increasing demands brought about by her growing family, she turned to part-time lecturing second and third year stratigraphy and palaeontology at RMIT. In 1957 the Watsons moved to the Mary Kathleen Uranium Mine in NW Queensland where he was appointed electrical design engineer. After their return to Melbourne in 1960, Jeanette taught herself to SCUBA dive and quickly developed a passion for the sport and the marine environment. She taught senior science to secondary students for 10 years whilst working towards a Masters degree with the Victorian Institute of College for research on the marine Hydrozoa. In 1991 Jeanette Watson was awarded a Doctorate from Deakin University.